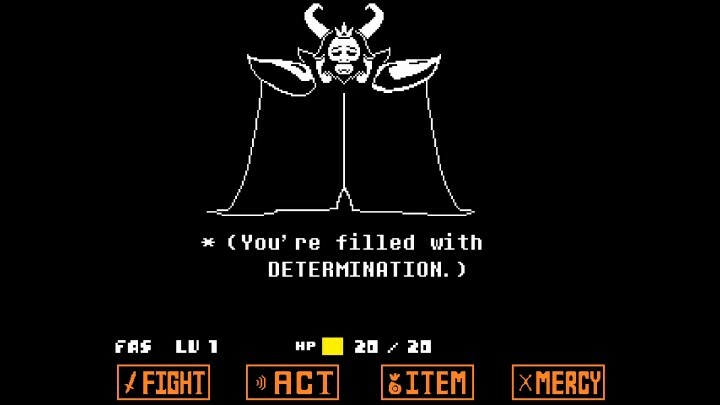 Undertale, an indie RPG by Toby Fox, made big waves after its release in the Fall 2015 — and deservedly so. Its characters, story, and game design are all top notch, giving players surprising new experiences while pulling on some key nostalgia strings. It’s the kind of game that sticks with you long after you’ve finished it. Seriously, if you haven’t yet, go play it. But one of the biggest factors to Undertale‘s success, and why I think it’s built such a dedicated cult fanbase, is definitely its soundtrack. Besides the fact that every track is really well-composed, the music embodies the very essence of Undertale‘s unique characters, setting, and emotional journey. But how does it do that? The answer (at least, a huge part of it), is leitmotifs. A leitmotif is, by definition, “a short, constantly recurring musical phrase associated with a particular person, place, or idea.” Undertale‘s soundtrack uses this concept expertly, with most tracks crafted using a combination of several leitmotifs to really drive home the emotion of the moment. The result is a brilliantly thematic game in both philosophy and sound. Let’s explore this further using some examples. 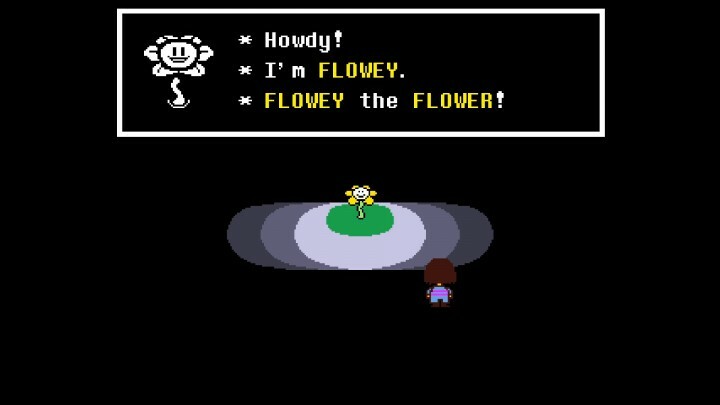 Starting with the flower that everyone loves to hate, it’s Flowey’s theme, Your Best Friend. This deceptively cheerful tune hides a sinister nature that’s used throughout many major moments in the game. In fact, it’s probably one of the themes that recurs the most, remixed into different songs to highlight the underlying importance of Flowey’s effects on Undertale‘s world. When you’ve killed all of the enemies in a Genocide run, you’ll hear a track called But Nobody Came. It’s ominous and full of dread, perfectly fitting the fact that you’ve just murdered literally every living thing in the area. But Flowey’s theme can also be found in tracks that are uplifting, motivating the player to press on; after everything he’s put you through, you just want to defeat him so badly and overcome his threat once and for all. To that end, Your Best Friend is a leitmotif found in the following climactic songs: Your Best Nightmare (Neutral route final boss theme, first part), Finale (Neutral route final boss theme, second part), Hopes and Dreams (True Pacifist final boss theme, first part), SAVE the World (True Pacifist final boss theme, second part), and Last Goodbye (part of the end credits). Moving on to a more melancholy example is Asgore’s theme, simply titled ASGORE. As king of the monsters, Asgore shouldered a terrible burden to free his people from the underground barrier by collecting seven human souls — yours being the final one. But by this point, the naturally kind-hearted king has been tormented by his decision to kill lost humans and is very reluctant to fight; as is the case with you, since to even fight him, you have to have spared or befriended at least a few monsters, thus showing some amount of compassion for their kind. But, you’re both the last thing standing in the way of each other’s final goal, so fight you must. To reflect these clashing feelings are two leitmotifs that simultaneously layer the song with both sadness and resolve: Heartache (Toriel’s theme) and Determination (Game Over theme). Toriel was the first monster to show you genuine kindness; that coupled with the fact that she was also Asgore’s former queen really creates a strong sense of regret and loss. The inclusion of Determination, on the other hand, certainly reminds you that yes, you must keep going. You’ve likely heard this track a few times after experiencing a Game Over, and obviously the only choice from there is to continue. 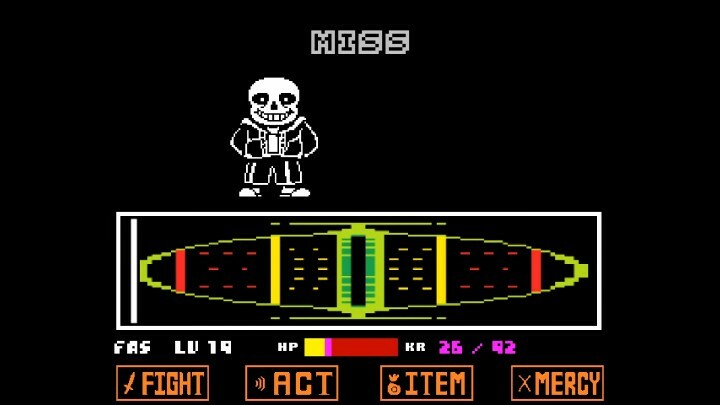 If you decided to commit to the Genocide route and wipe out every last monster, you’ll end up fighting Sans as the final boss. While the official track for this epic battle is Megalovania, a likely secondary option is the soundtrack-only Song that Might Play When You Fight Sans. Besides the fact that it’s actually a sped up version of Sans’ theme, this song contains the presence of the two other skeletons as leitmotifs: Gaster (Gaster’s Theme) and Papyrus (Nyeh Heh Heh!). Both characters are deeply integrated into Undertale‘s story, with Gaster being the former royal scientist and Papyrus being a prime example of monster innocence. They’re also all closely related, so this one song combines all three skeleton figures into a dynamic theme that showcases their bond. The examples above really only scratch the surface of how amazingly interwoven Undertale‘s music is. There are so many other cool references and in-jokes to cover, like how Ruins is a leitmotif in many tracks that involve Undyne, or how the goofy Dogsong and Tem Shop tracks are a play on the battle theme. I highly recommend getting the game and experiencing it all for yourself. Finally, if you’d like a visual depiction of the impressive number of interconnections in Undertale‘s music, check out this flowchart (note: it does have a few inaccuracies). [SPOILERS] The Undertale Soundtrack is even more brilliant than you think. [♫Spoilers♫] All the Leitmotifs I’ve Found. Good point, the argument for Gaster is pretty loose, but I thought it added one more layer to the discussion.